October is a great time for rarities in the WP. In recent years, the Azores had the most extreme vagrants, mostly from North America. But in this autumn, our attention focused mainly on rarities from Siberia. Large numbers of rare warblers, thrushes and buntings daily enthused many observers. However, probably no one expected an influx of Siberian Accentors Prunella montanella, as the previous individual was found... five years ago! 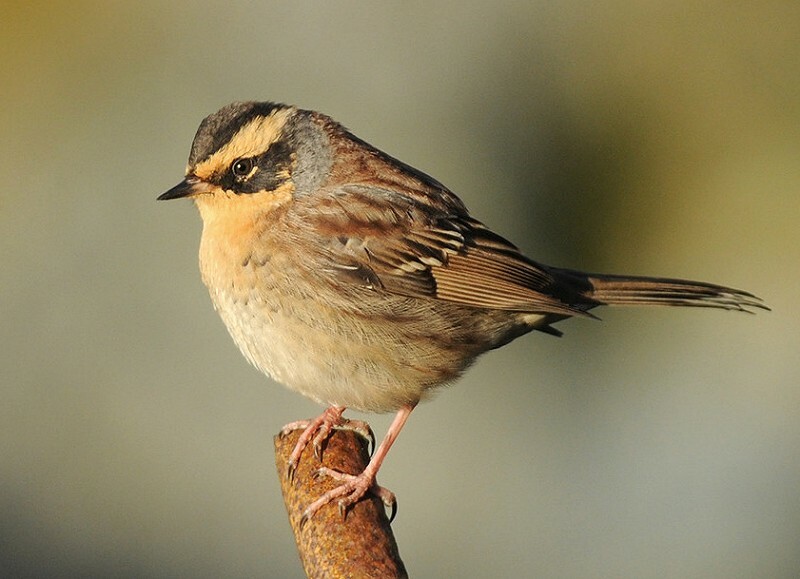 Siberian Accentor breeds on both sides of the Ural mountains and beyond in Siberia, mostly north of the Arctic Circle. Its winter grounds are in eastern Asia: from southern Manchuria, Korea and Japan to central China. In autumn, it is also frequently recorded as a straggler in Alaska, USA. In Europe, there were c 32 records up to 2015, of which more than half in Finland and Sweden. The species has also been recorded in Austria (19th century), Italy (1863, 1884, 1901), Czechia (1943), Greece (1965), Poland (1988), Denmark (1992), Slovakia (1994), Belarus (1997), Lithuania (1998), Luxembourg (2005), Turkey (2006, 2007) and Norway (2011). The vast majority of these records are from October. 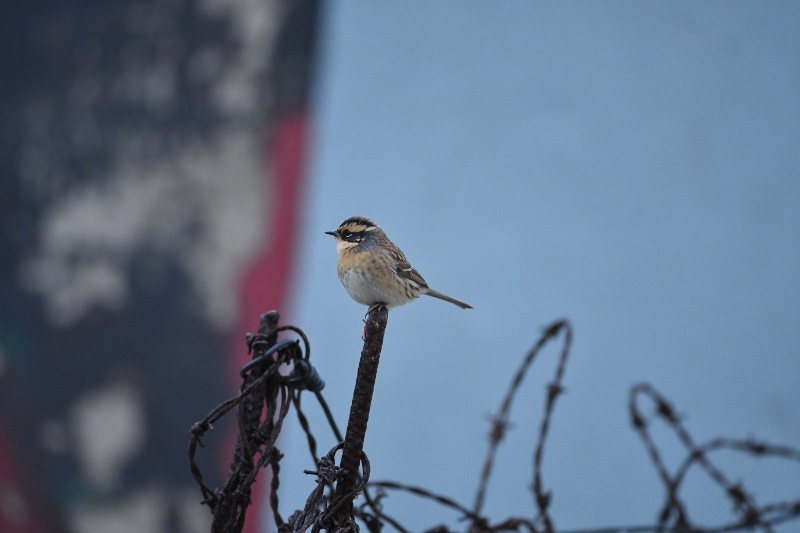 All the more unbelievable is that the Siberian Accentor influx in Europe in 2016 comprised such a large number, with as many as 212 from 4 October to 6 November!!! The first turned up on 4 October and stayed also the next day at Peijonnsuo in Finland (the country's 12th record, and the first since 12 years). After two days, another individual was reported from Rödkallen in Sweden (the tenth, and the first since nine years!). 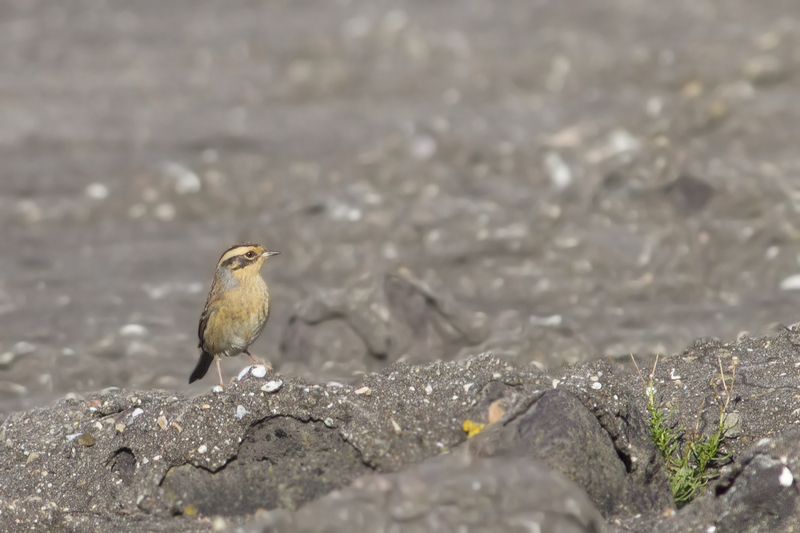 On 9 October, the next two birds were found - another one in Finland and, in Shetland, the first for Scotland and Britain! Moreover, another one was trapped and ringed on the shores of Ladoga lake in north-western Russia (the first record there since 1974). It was already amazing but just the beginning of madness (see figure 1). The days with the highest number of new birds were 20 October (20 birds), 16 October (16) and 23 October (16). In the first week of November, the number of newly found birds declined. The maximum number found at a single place was five at Topinoja, Finland, on 4 November. Also, there were three on Greifswalder Oie, Germany, on 13 October and three on Christiansø, Denmark, on 16 October. During this influx, the species was recorded for the first time in Britain, Germany, Estonia, Latvia and the Netherlands, whereas there had been only one record before this influx in Czechia, Denmark, Lithuania, Norway and Poland. By 6 November, there were already 70 records in these countries (see figure 3)! Figure 1. Number of first arrivals a day for Siberian Accentor Prunella montanella in Europe between 4 October and 6 November 2016. Figure 2. Cumulative numbers by day of Siberian Accentor Prunella montanella in Europe from 4 October to 6 November 2016. Figure 3. Number of records of Siberian Accentor Prunella montanella in 12 countries before 2016 (blue) and up to 6 November in 2016 (red). 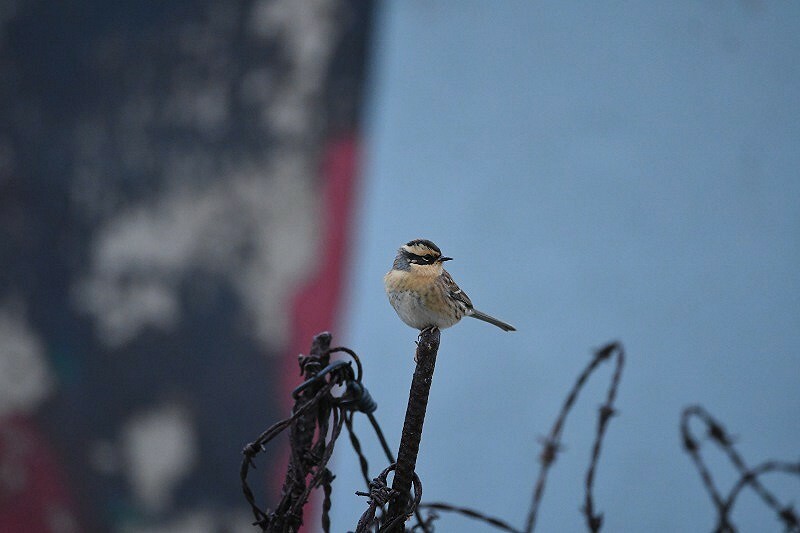 Siberian Accentor Prunella montanella, Hel, Poland, 13 October 2016 (Marcin Sołowiej). The second for Poland! As of 4 November, the total of this 2016 influx was 212 birds, including 69 in Sweden, 68 in Finland, 13 in Britain, 11 in Germany, 11 in Poland, 10 in Denmark, 10 in Norway, 8 in Estonia, 6 in Latvia, 4 in Lithuania, 1 in Czechia and 1 in Netherlands. Wow! So, in one month, the number turning up was more than six times higher than the total of all previous 100 years together! The reports are shown on this map which is regularly updated. A useful paper titled 'How to age Siberian Accentors?' by Arend Heim & Wieland Heim can by found here. Probably, more reports will follow the coming weeks; we will keep you informed. A paper on this influx is scheduled to be published in Dutch Birding next year. 1. Lauteri, 15th October, 1 trapped for ringing. 2. Lauteri, 15th October, 1 trapped for ringing (second bird same place 30 min later). 3. Jurmalciems, 16th October, 1 trapped for ringing. 4. Ainazi, 16th October, 1 trapped for ringing. 5. Liepaja, 19th October, 1 observed. 6. Pape, 26th October, 1 observed. 8. Jaungulbene, 8th November, 1 observed. On 27 October was one new bird in Sweden (was included on a figure). The second from Finland mentioned by Tarsiger was seen for the first time on 20 October. The map is regularly updated (new records, exact locations) with some great help of Magnus Hellström (Sweden) and Mika Bruun (Finland / Tarsiger.com). Please let me know if you still see any errors or have additional information. For anybody who'd already like to know: now 206 at least (by tarsiger on twitter): 202 SIB ACC 4th-4th Nov: SWE(68), FIN(63), GBR(12), POL(11), DEN(10), GER(10), NOR(9), EST(7), LAT(6), LIT(4), NED(1) and CZE(1) and another group of 4 at Turku, Finland. Im looking forward to the updated article and the map Lukasz!! Thanks! Soon, we will update the map and the text with new records. Today, the first this autumn (and second ever) for Czech Republic. The map is available in the last sentence - click on 'totals stand on 148'. Please update the last line of your post (where you mention the Netherlands still needs one), and can you include a link to the google map with sightings of Siberian accentor (I reckon you know about that map)? Most probably weather. Probably not winds that much though - might have more to do with exceptional high pressure / low pressure areas. Any idea about the drivers for this enormous influx? Weather? Food? Breeding succes? Expanding breeding range?